So Much for the Ethics Board. 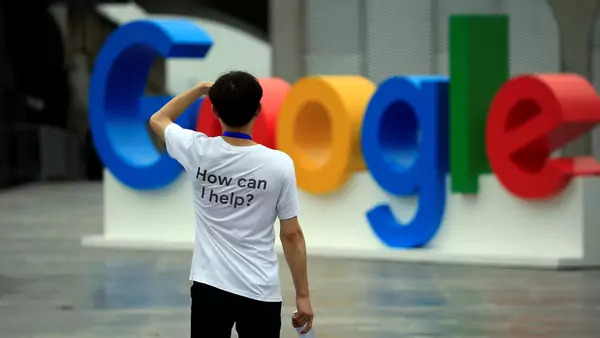 Only a week after announcing its “Advanced Technology External Advisory Council” (ATEAC), Google declared that it will abandon the project entirely. ATEAC was created to “complement” the implementation of Google’s AI principles, meant “to guide the responsible development and use of AI in [Google’s] research and products.” Soon after Google publicly announced the ATEAC, however, two of the eight board members spurred widespread public criticism. 2,476 Google employees signed a petition calling for the removal of Kay Cole James, the president of the Heritage Foundation who has a controversial record on queer and trans issues. Similarly, many criticized the nomination of Dyan Gibbens, a CEO of a drone company who previously worked on U.S. military projects. After another expert declined the invitation to join the council, Google decided to scrap the project altogether. The entire episode raises questions as to how large technology companies will effectively implement their own ethics documents, whether ethics boards are effective, and whether self-regulation is at all possible for AI and other emerging technologies. Project Raven: This week the United Arab Emirates (UAE) deployed its Project Raven team to spy on high-profile media personalities in its ongoing dispute with Qatar. Those targeted include the Chairman of Al Jazeera, a Beirut-based BBC host, and a London satellite channel producer. Uncovered in a detailed Reuters exposé in January, Project Raven is a covert UAE cyber-espionage team that recruits ex-NSA professionals to monitor the country’s opponents, such as human rights activists, journalists, and even U.S. citizens. The current diplomatic crisis between the UAE and Qatar erupted in 2017 over Qatar’s support of Arab political activists, its alleged funding of terrorism in Syria, and its interactions with Iran. Soon after, Project Raven operatives used the Karma iPhone hack to break into the devices of journalists and media executives believed to be linked to the Qatari government or Muslim Brotherhood. Former U.S. operatives’ role in the project demonstrates a growing trend of ex-U.S. intelligence officials’ involvement in cyberwarfare of foreign nations. China Trade Talks Take a Digital Turn. More than a year after the outbreak of the trade war between the U.S. and China, China has started to propose concessions in trade negotiations on contentious digital trade issues including forced technology transfers, cyber theft, and intellectual property rights. The latest round of negotiations, involving U.S. Treasury Secretary Steven Mnuchin, U.S. Trade Representative Robert Lighthizer, and Chinese Vice Premier Liu He, focused on China’s controversial June 2017 Cybersecurity Law. One critical point of disagreement has been how the Cybersecurity Law defines “critical information infrastructure” operators, which requires designated firms use government-approved products and services. While the exact firms subject to these requirements remains unclear, draft regulation suggests the definition would include a wide range of industries—a position that Chinese officials might be willing to negotiate. China may also be willing to decrease stringent requirements on data localization and allow more data to be transferred internationally. Though the United States has been hesitant to lift all tariffs immediately, negotiators have made progress on several fronts, including an extended suspension of Chinese tariffs on U.S. cars and a regulatory change in China meant to regulate fentanyl and stop its import into the United States. Zuckerberg Writes (Another) Post. In an op-ed published in the Washington Post on Saturday, Facebook founder and CEO Mark Zuckerberg called for increased government regulation of the technology industry. Writing that Facebook “[has] too much power over speech,” Zuckerberg advocated for greater oversight over content moderation on social media, transparent and unified election advertising regulations, and GDPR-like privacy and data portability protections. Zuckerberg reiterated his ideas on Thursday, calling on regulators to establish “new rules” for political advertisements in the digital age, shifting the onus of monitoring political speech away from the company. The op-ed received immediate criticism, with critics dismissing the statements as a public relations effort and arguing the proposals solely benefit Facebook and “harm just about everyone else in the process… leav[ing] users’ legitimate concerns largely unaddressed.” Facebook appears to be bending to public pressures on various regulatory fronts , most notably with its independent Content Oversight Board and last week’s ban on “white nationalism and white separatism” on its platform.